Further Prompt Challenge: Pick 3 people from history who are still talked about today. 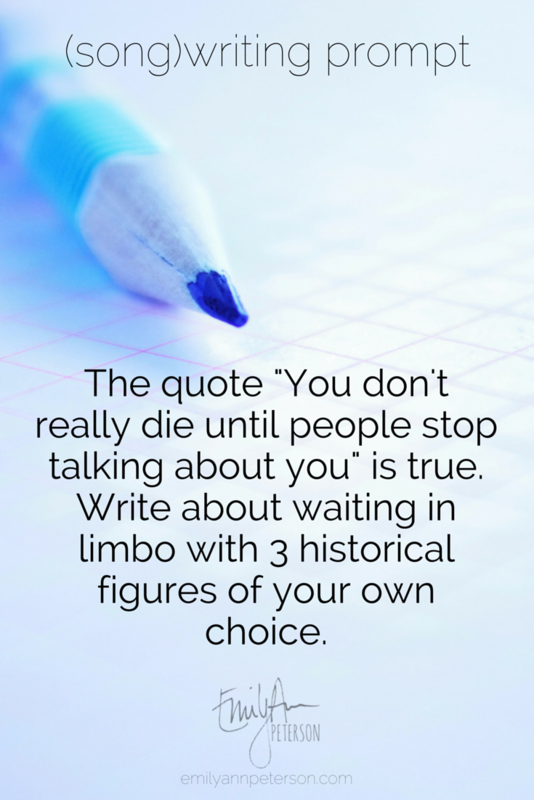 Imagine that "You don't really die until people stop talking about you." You've died and are still being talked about, so you find yourself in a limbo 'waiting room' with those 3 people. What's the room like? Any furniture? How's the temperature? Are the other 3 people bored? What are they talking about? What would you ask them? How might those conversations go?